The Elite’s ranks thinned following Manchester Black’s latest attempt to radicalize the pro-alien movement, but the culture war was put on hold afterward. James caught a bullet in the back, launching Supergirl and her allies into action to save his life. Black remained close though, and he wasn’t done trying to pull J’onn out of his self-imposed pacifism. That might not be the worst idea though. Especially since Lena’s long imprisoned brother decided to show his face. Lex Luthor has always been a hard man to trust. 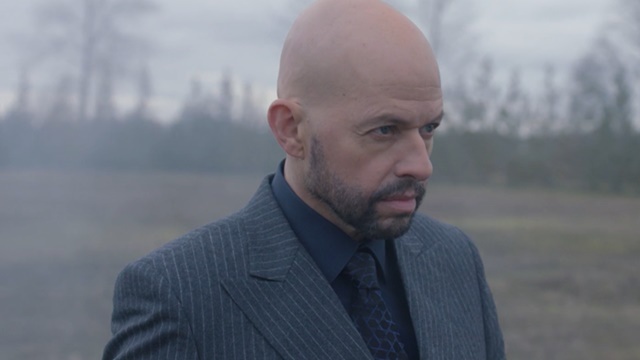 James is rushed to the hospital after his shooter signals Supergirl to the crime scene. The rest of Kara’s allies soon join her there as James goes under the knife. Everyone except Lena, who is hosting her brother, Lex, for the first time since being arrested four years ago for turning the sun red. Lex is considerably weaker due to cancer and wants Lena to finish her super serum. That plan is put on hold when Lena learns of James’ shooting. A quick trip to the hospital and a pep talk from Alex inspires her to get to work alongside Lex as J’onn and Kara head out in search of Black. Lex and Lena reconcile as they improve the serum, though Lex still prods Lena just enough to keep her going. Digs aside, Lex expresses how much Lena always impressed her. He’s even somewhat jealous of her due to having a mother full of love rather than cold expectation. 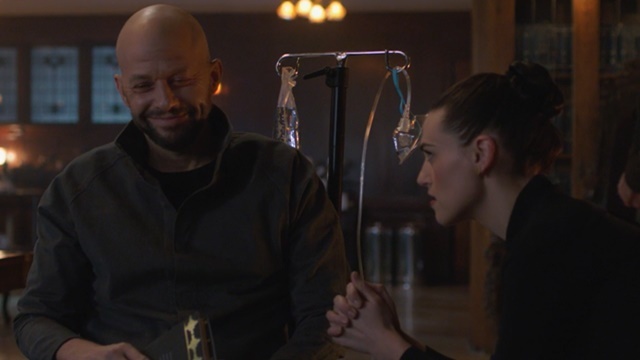 The two get the serum to a non-lethal state and Lex convinces Lena to use it on James. That cure couldn’t come soon enough. James remains in critical condition after surgery and the doctor is unable to identify the style of bullet used in the attack. James’ sister, Kelly, arrives at the right time to approve further surgery for James. Alex tries to convince her to back off the decision and allow Lena more time to improve the serum. Kelly doesn’t trust Lena, though, and sends her brother back into the OR. 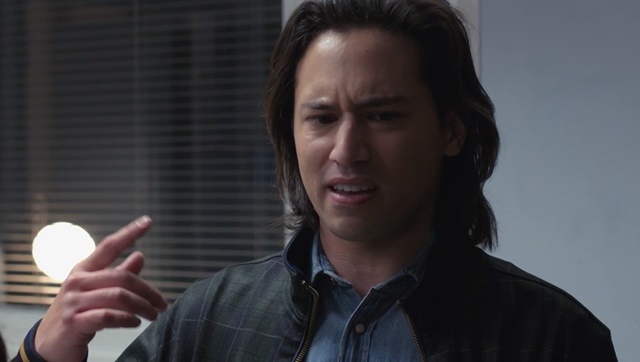 Nia and Brainy remain at the hospital as well, each blaming themselves for not foreseeing the shooting. That, plus the continuing anger over losing his Legion ring, causes Brainy to lash out at a vending machine. Nia quells Brainy’s mind with an intense kiss as a power surge hits the hospital. The power surge is a product of Black’s assault on a dam. 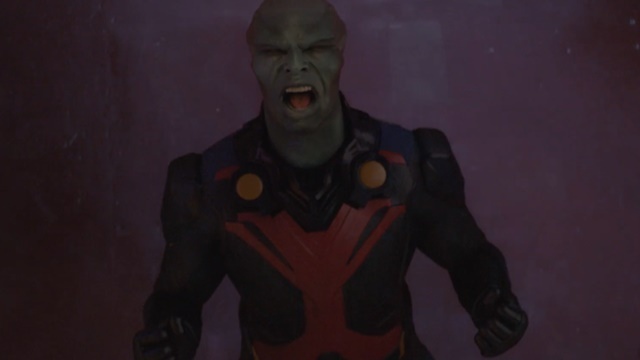 It’s his latest attempt to lure J’onn into a fight, breaking him free of his peaceful restraints. His first one saw him draw J’onn and Kara to the site of his father’s death. Black shows up wielding the Staff of Kalar, promising to force J’onn to relive the punishments of his wrathful god. Those manifest as visions of Alex and Kara reanimated after death. The dam serves as the setting for J’onn and Black’s final fight. Black forces J’onn to relive the his daughters’ deaths as Kara patches the splintering concrete. The recruitment effort fails once again as J’onn reverts to his alien form, takes the staff from Black and kills Black, recovering Brainy’s ring in the process. Kara shows concern for J’onn in the aftermath, but the battle with Black convinced J’onn of a truth he long denied: he is not a man of peace. While Black and J’onn fought, Lena returned to the hospital with the improved serum. She convinces Kelly to let her use it on James, fully healing him and bringing him out of a medically induced coma. National City’s heroes celebrate his recovery as the hospital’s electricity returns. That is everyone but Lena. The power failure still raises suspicions, leading her to deduce that Lex cut the building’s power on purpose. 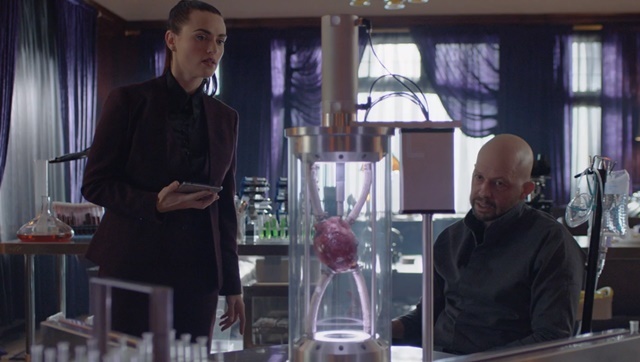 She confronts Lex at her home, getting him to admit that he committed the act in order to push Lena to finish the serum. He needs it to cure his cancer. Lena promises to never cure out of disgust, but she’s too late. Lex has already had the drug administered by Eve. His prison guard is revealed to be Otis Graves in disguise and the two leave Lena KO’d and in Eve’s gun-wielding care. Lex and Otis use the mansion’s security system to kill the remaining guards and escape via helicopter. Lex cloaks the mansion and flies away just as Supergirl arrives on the scene. The self-described Man of Tomorrow finally, at long last, meets his mortal enemy’s cousin. What do you think about Supergirl season 4 episode 15? Let us know in the comment section below!